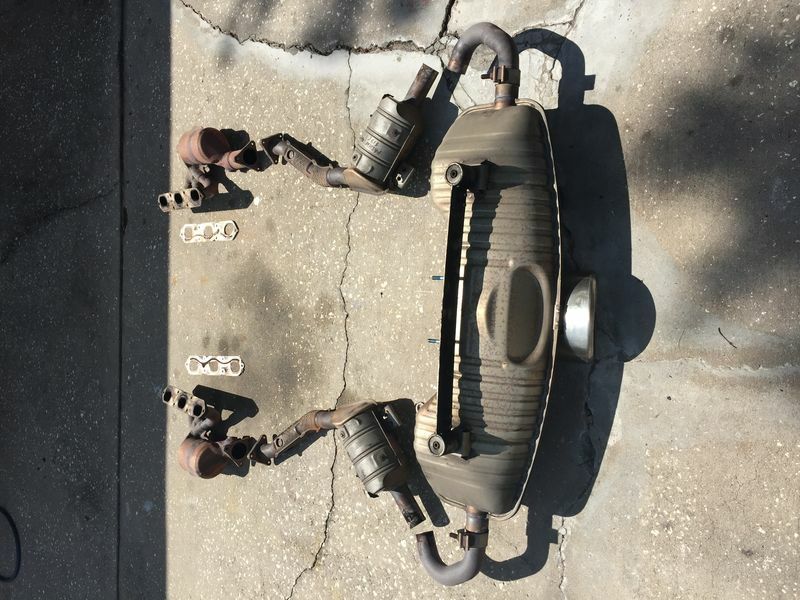 I have for sale a functional exhaust system removed from my 2003 Boxster. 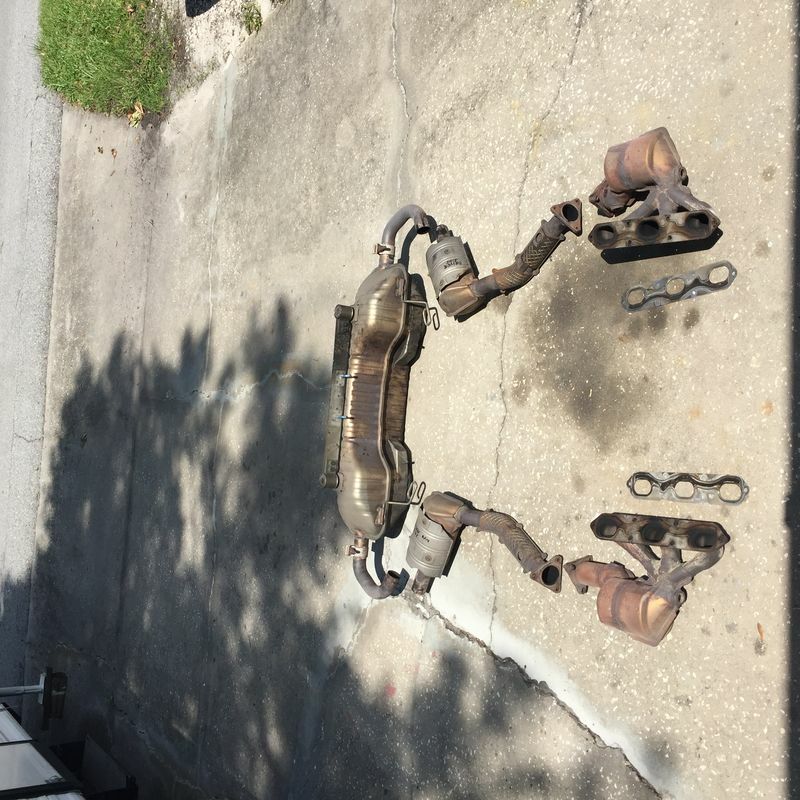 The only parts not included are the curved connecting tubes from the cats to the muffler. I am asking $400 + shipping or free pickup in central Florida. I can be contacted at andesign@janderson863.com. Thanks for your interest.